If you are not a person with a disability, then you probably take it for granted that you can easily control a mouse, type on a keyboard, or click to select options when browsing online. Now imagine doing these same online tasks without being able to see, or without being able to move your hands. Suddenly, the web is looking like a completely different place – one which is full of hurdles and limited access. Web accessibility for people with disabilities has been a concern since the birth of the web, and the Web Accessibility Initiative (WAI) was formed in 1997 by the World Wide Web Consortium (W3C) to establish standards for web accessibility. However, only now is web accessibility really getting any major attention. Most countries still don’t have any laws about web accessibility, which means that people with disabilities often cannot access and use websites, including much-needed services on public sector websites such as for healthcare. If you want to improve website accessibility on your site, you can start by learning about the WAI guidelines and using tools to check your website’s accessibility. However, this can only take you so far. To really improve web accessibility, you need to understand how people with disabilities use the web. Only then will you be able to make the meaningful changes which allow all people equal access to your website. Here are just some of the many tools which people with disabilities use to access the web and overcome the challenge of limited accessibility found across most websites. 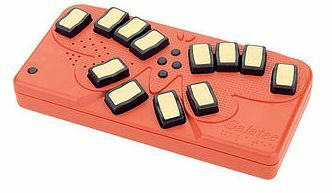 Braille Keyboards:A Braille keyboard is very different than a standard QWERTY keyboard. There are 8 keys which are used to compose the Braille letters. Of course, there are standard QWERTY keyboards which have Braille letters overlaid on them, but Braille keyboards are made in a way which makes navigation and locating the cursor much easier for visually-impaired people. 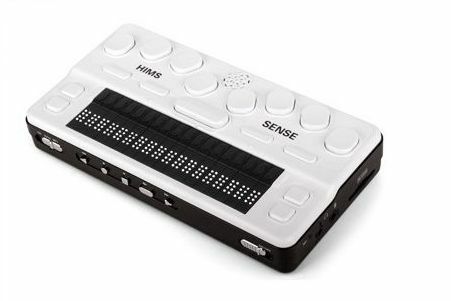 Refreshable Braille Displays: This is a type of Braille keyboard which also has output options. It contains small pins which can be raised to form the Braille letters. Displays range from 18 to 84 cells. A cursor allows the user to select which text to translate, and the pins are refreshed throughout the reading process. 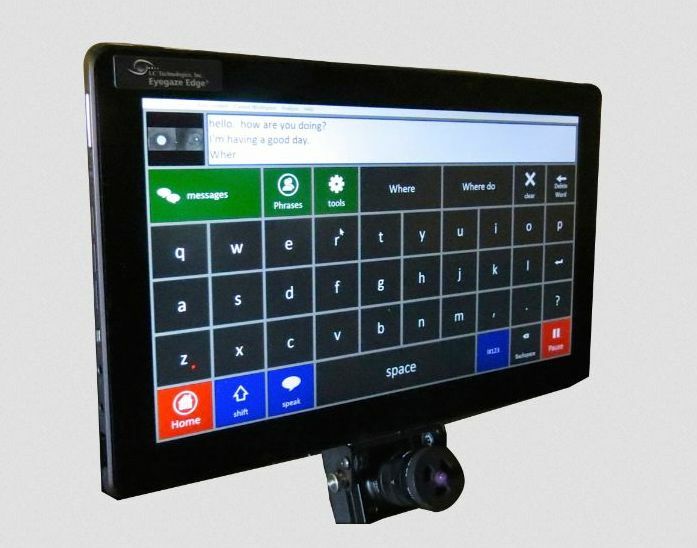 Braille displays are fairly expensive but are good options for people who use the computer a lot, need to speak and type at the same time, or who are deaf-blind and would not be able to use a Screen Reader. Screen Magnifiers: Screen magnifying technology helps people who are visually impaired but not blind to view information on a computer screen. There are numerous types of screen magnification technology, such as external devices which act like magnifying glasses outside of the screen to advanced software which is installed on the computer. The best screen magnifying technology doesn’t just increase the size of the information on the screen, but has functions like reducing glare, increasing contrast, and improving cursor tracking. Sip and Puff Systems:Have you ever seen a person in a wheelchair controlling movement by breathing into a straw? This is a puff-and-sip system. 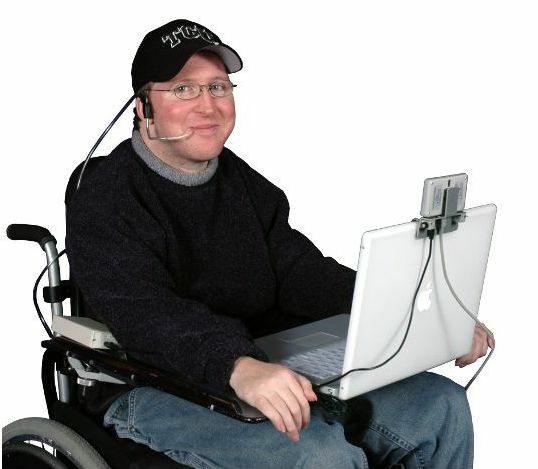 The technology has been adapted to allow people with physical disabilities, such as paralyzed people, to also access the computer. The device works similarly to a joystick, but one which is controlled with breath. It recognizes sips or puffs and translates these into commands such as mouse clicks or keyboard characters. Another option for hands-free mouse tracking is to use Lomak, which is a light-operated mouse and keyboard. A small device with a laser pointer is worn on the head (or, alternatively, on the arm). By moving the head to point the laser light at various points on the keyboard or screen, users can control the cursor. The Lomak keyboard is also controlled by the laser light, and has an option for voice-controlled confirmation of commands. 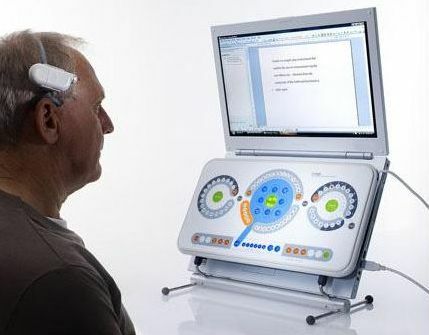 A third option is EyeGaze Edge system. This truly-cool system works by having a specialized video camera mounted below the screen. The video camera observes the user’s eyes to determine where the user is looking. The user then operates the system by looking at special keys which are displayed on the control screen. Voice Controls: Voice control software includes programs which convert Speech to Text, and also allow you to command the computer with your voice. One of the most well-known and feature-rich program is Dragon. It lets you enter text anywhere you find a text box and you can even tell it where to put the cursor. The tool isn’t perfect though and physically-disabled people will need to rely on other tools such as switch activations to fully access the web. Bear in mind that none of these assistive technology tools are perfect, and they can be costly. Further, in order for many of the tools to work properly, the website much be designed in a way which allows accessibility. If you don’t put meaningful ALT text on images, then even the best screen reader won’t help blind people understand the image. If you don’t space Buttons well apart, then even people using the best hands-free mouse are going to have some wrong clicks. The bottom line? Website owners need to make sure their sites are designed in a way which doesn’t just meet accessibility guidelines, but in a way which allows all people to equally access and use the web.